Judy Cara, Planetarium Manager for the U.S. Air Force Academy, talks about the reopening of the planetarium, the history, the process to get it reopened, the grand opening celebration on March 2nd, and a lot more. Becca Tonn and Al Maxwell from the Pikes Peak Workforce Center continue our series on getting you ready to find your next job. Today, talking about interviewing and how to prepare, the different types of interviewers and questions, and a lot more. Check the free workshop schedule at PPWFC.org. El Paso County Sheriff Bill Elder talks about the Red Flag Bill, addressing the mental health concerns in our community and overcrowding at the jail. Mike Lewis talks with Luis Rexach (rih-satch'), owner of Glass Magic of Colorado. Luis has 12 years repairing scratched glass - restoring it to new condition - including patio and entry doors, windows, table tops, shower enclosures and much more. He can save you more than half the cost of replacing those items using innovative, new technology. Catherine Hammond from Hammond Law Group talks about The 8 Deadly Mistakes People Make with Their Estate Plans. From not keeping up with the changes in laws and taxes, to not communicating your wishes, important info to help you keep your estate plan ready and working for you. Dana Barton, Emily Shuman, and Sarah Garcia from the Rocky Mountain ADA Center talk about the increase in lawsuits, online accessiblilty, an upcoming free training and a lot more. Justin and his guest, Austin Darby from Mainstreet Insurance, are back in the studio together. Austin gets a brain pick from Justin and you get some important questions answered about insurance. Bell & Pollock talk neck injuries. Greg Coopman is joined by Bert Pennell from Motto Mortgage Platinum to discuss the benefits of reverse mortgage. Ted Robertson talks with Paul Sutton, owner of Peak Structural, about the work he does to keep your basement dry; your foundation standing strong; your crawl space properly insulated and much more. Stay tuned, too, because Paul has a special offer! Ted Robertson talks with Mark Lovejoy and Brandy Doggett, both of Employers Resources of Colorado. For you business owners, outsourcing HR, benefits management and insurance administration can be a time and lifesaver! The Secrets of Keeping Your Employees! - You Have Health Insurance for Your Team. Now What? When benefits are central to retention, can you compete with big boys? The health and life, insurance world is big and confusing. Everybody needs insurance, but, it's hard to get unless you gotta guy and that guy is Antonio Briceno, "The Agent"! Antonio's an independent licensed insurance agent. 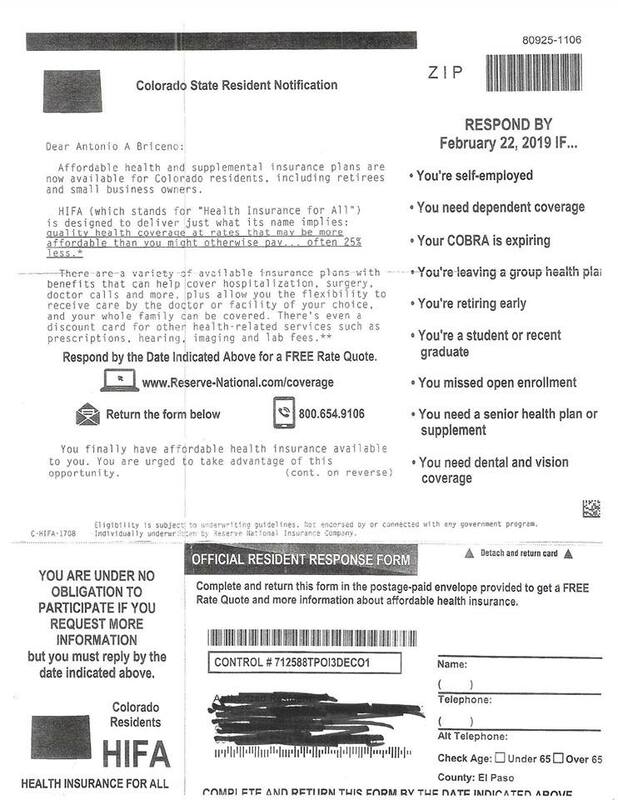 He's contracted with "HealthMarkets" Insurance Agency. The information he gives you on "The Agent" is general in nature, it's educational, it's not legal advice but it will help get you covered. Click and Book Your Appointment with "The Agent"
This week Debbie answers some important questions about the difference between an Agent and a Realtor. Listen and learn! Jay compares the real estate market in Belize to here at home. It's so different! He'll take us around town here in the Springs and tell you where the best investment properties can be found. The National MilSpouse Career Summit is on March 14, 2019. Pikes Peak Workforce Center’s, Amy Phillips: Department of Labor has an American Job Center serving every county in the nation. The Pikes Peak Workforce Center serves El Paso & Teller counties key to regional job seeker success and mployer success is PPWFC! A preview of events to come including Dave Ramsey’s Military Financial Peace University; getting tax assistance and more. The Mt. Carmel Veterans Voice podcast, presented by USAA in partnership with Together We Smile and Star Dental Institute, publishes the second and fourth Saturday of each month. Veteran's Voice features success stories from Military, Veterans and their families; highlights resources available to all military, veterans and their families and offers military themed news, updates, information and resources. Julianne continues down the "Road to Revelation and Righteousness" in this study of the Bible showing not only the love God has for all of us, but that there's still time to change your thinking just by accepting Jesus into your life as guidance. Watch: Julianne Harris, "The Inside Story"
Praise God! 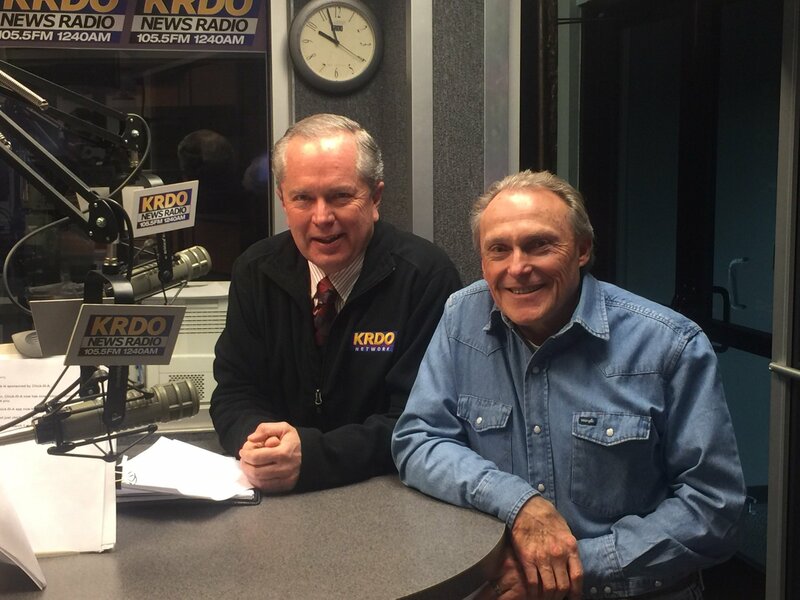 I'm Arrested and Free with Julianne Harris airs Sunday mornings at 6:30 on the KRDO Netowrk at 105.5 FM, 1240 AM and 92.5 FM. Listen live at KRDO.com and on-demand at KRDO.com, click on the Radio tab and and select Podcasts. Catherine Hammond talks with Greg Coopman with Heartfelt Care at Home about what you should know when looking for in home care. Colorado Springs Fire Chief Ted Collas talks about recruiting for CSFD, planning for future growth, fleet replacement, and a lot more. 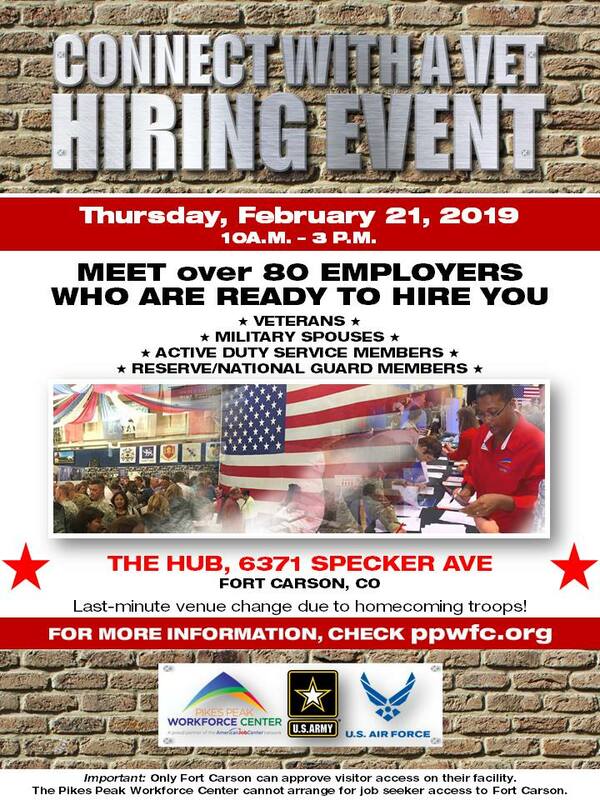 Connect with a Vet Hiring Event coming up February 21 at "The Hub" on Fort Carson. PLEASE NOTE, there has been a change of venue for the Connect with a Vet Hiring Event. The new location is "The Hub" on Fort Carson at 6371 Specker Avenue. Lisa Buckman from Mt. Carmel, Joe Lewis of Angels of America’s Fallen, and AOAF family member, Ashly Perry, talk about Mt. Carmel services, partnerships, and how those partnerships connect veterans and their families with important services. Mayor John Suthers talks about the final draft of the Homelessness Action Plan, his selection of Deputy Chief Niski as the next Chief of Police, the Regional Office of Emergency Management, and more. Stormtracker 13 called it right! Very cold temperatures are here for a few days. What about your car battery in this weather? Car cranking slowly? That will only get worse with time. Steve Dufaud with American Battery Corporation has tips and advice for you. YIPPEE The Moose is Loose in WOODLAND PARK, and it’s full of SALES, SPECIALS, DEALS and FUN! My favorite posse of businesses have geared up just for YOU, and it’s a shindig you won’t want to miss. Meet up early in the TWEEDS parking lot to see The Moose for his annual tradition of Yippee Ki-Yay! Get Moose Bucks just for horsin’ around! Doors open at 10am for the TWEEDS Sale – Up to 75% OFF Storewide! The first 250 law abiding citizens through the doors will receive a Swag Bag. Extra savings and goodies from around town! Start your winning Poker Run hand at TWEEDS and continue making tracks through town. More surprises and prizes! Visit at least 4 more local businesses to complete your Moose Pass. Enter the $500 Spending Spree contest! Nancy Trepagnier and Lori Schlonskit from Go Team Therapy, Crisis, and Airport Dogs, talk about how the organization got started, the different levels of training, how you can get involved, and a lot more. Deborah visits with the owner of PeakMed again in this edition of her show to discuss the many advantages you can expect from PeakMed versus most other medical service providers. Listen and save lots of money! Justin Hermes has multiple guests in the studio this week including Austin Darby from Mainstreet Insurance explaining the financial advantages to insurance. Then the guys from Crestone Roofing are getting you ready for the the upcoming season hail and high wind season and what to look for to protect your real estate investment. Bell & Pollock talk sudden emergencies because of ice and snow. Greg Coopman talks with Lisa Loeber from Jackson Creek Senior Living. Ted Robertson speaks with the co-founders of The Huddle, a networking group for business in the Pikes Peak region. Meet Amber Robinson and Leeann Hemenway. If you're looking to plug in to a business group to network and more, today could be your lucky day! This week on The Agent with Antonio Briceno today at 11:30 a.m., Part 2 of of his seven part series on the secrets of keeping your employees. And check out this insurance solicitation craziness! Antonio explains in the podcast! Ted Robertson talks with Devra Ashby, APR, Communications Director for School District 11. Dr. Michael Thomas recently joined the district as Superintendent of Schools. He is working to develop a new strategic plan, vision and mission with input from all quarters of the community. Additionally, he is forging new relationships within the business community. His objective in part is to gather information relative to how the District can best help meet the region's work force needs. In the podcast, a preview of things to come. Jay reviews the book, Everyday Millionaire©, authored by Chris Hogan one of two main speakers presenting the Dave Ramsey Smart Money© tour. Jay will break it down and show you the top 10 characteristics most millionaires have in common. The Road to Revelation of Righteousness can be a long road. Julianne continues taking us through this study in the Bible and showing us how much God loves us. An automotive life and lifestyle program featuring Randy, Ashley and Matt! The Finish Line presents the people, their cars, places and events that put the 'style' in automotive life! In this edition of Business Week in Review with Jeff Beauprez, Jim Bearce and Joe Parino, both data moving, storage and protection professionals on keeping data safe and secure. Jeff has Business and Cyber Bytes as well. El Paso County Assessor, Steve Schleiker, visits with Mike Lewis to talk about re-assessment of property values and what is driving property tax increases this year. Rob talks with Air Force Hockey coach Frank Serratore, about the Broncos and Joe Flacco and more. Michelle Peulen from C-DOT talks about update on the I-25 GAP project, dealing with the high winds, upcoming winter weather driving and more. 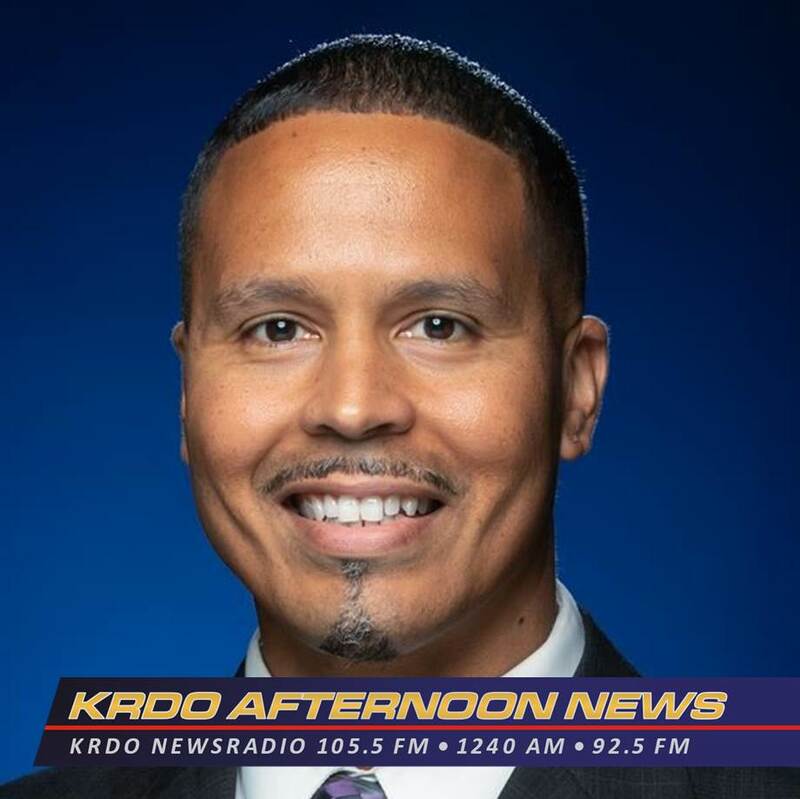 City Council President Richard Skorman talks about a sales tax incentive for a large sports store, the USAFA annexation, and the upcoming vote on Chief Vince Niski. Minna Castillo-Cohen and Krystal Grint talk about the Colorado Child Abuse & Neglect Hotline, how many reported calls lead to assessment, mandatory reporters, being an active community, and a lot more. Doug Price from Visit Colorado Springs and Pete Peterson with the Air Force Academy Cadet Chapel talk about the history of the chapel, the work that needs to be done, when construction will begin, and a lot more. El Paso County Commissioner Mark Waller talks about the 1-25 grant, the Regional Office of Emergency Management, and a lot more. Dan Osinski, or, "DanO", from Unified Title is back and giving tips on the best day to close and why, and, how to avoid the stress of closing. Justin gives you a fresh look at growth in Colorado Springs and tells you what areas of the city are best if you're an investor.